The bathroom, the one place in a house that you typically have to yourself. The bathroom, the one place in a house that you typically have to yourself. Some may say it’s a place of refuge or a place to gather your thoughts before starting your day. In fact, it’s like that for most people. It’s a place where you’re not supposed to be bothered. Who knew that a bathroom would be a place for a genius idea. The reason I say this is because a few months back I found out about a guy named Lincoln Walters. Now he may seem like an ordinary guy but what’s extraordinary about him is how he came up with his business idea. He told me that one morning when he was in the restroom, his wife broke that unspoken bathroom code and abruptly barged in. She had asked him if she could borrow his razor because hers was dull and she was nicking her legs. Now even though Lincoln deeply loves his wife, he was stuck in a dilemma of wanting to please her but also protecting one of the few things that he doesn’t share in his marriage; his razor. His answer to her question was a simple no. That’s how his business Happy Legs Club was born. Walters saw a need for a subscription service similar to Dollar Shave Club except tailored toward women. He began searching for the perfect product manufacturer and sourced dozens of razors from around the world. As the samples came his wife and her friends tried them all out and gave their feedback on what worked, what didn’t, and what they were looking for in the Holy Grail of razor blades. Eventually he found the perfect fit. A razor blade delicate enough to not harm women’s skin, but still high quality enough to leave their legs silky smooth. From there he set up a relationship with his manufacturer to secure an order but not immediately pull the trigger, rather have the order on standby. Then Walters and his team tested the demand by launching a website, making a short video explaining the problem and sharing how Happy Legs Club is the solution. 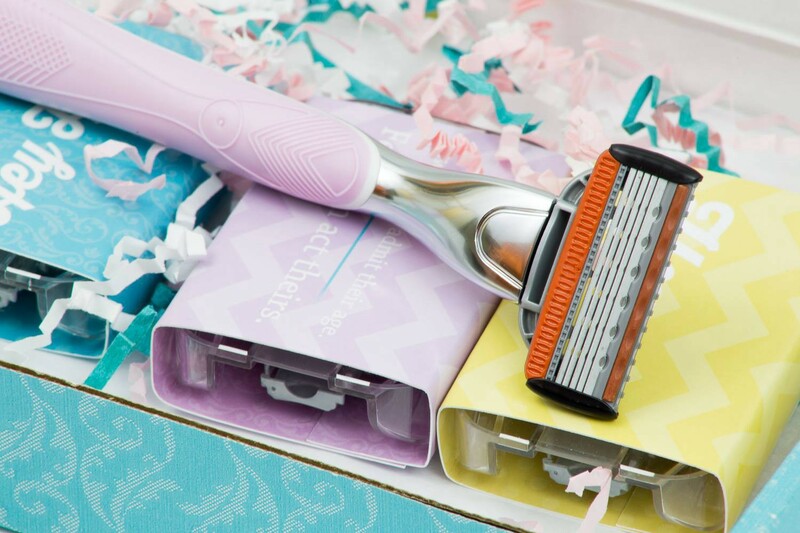 They sold out extremely quick and were blown away by just how eager women wanted a service like this and more importantly a razor that is always sharp. Lincoln positioned the website to say they were on back order which allowed time to order the razors, package them, and send them out to their new members, all within a 30 day window. As any new start-up grows they have made improvements and iterations to the website, the experience, and the overall quality of the brand. Honing in on the importance of empowering women and creating a female oriented brand, Happy Legs Club mails their product in colorful sleeves with quirky and fun quotations on the sides. For most people, female and male, shaving is a hassle; a task that needs to be done but not enjoyed. Happy Legs Club hopes to change this image of the activity as much as they can. Incorporating humor, bright colors, and branding lighten the mood of this otherwise monotonous motion.